On this page you will find pictures of Carling's United States breweries along with as much statistical information as I could find. 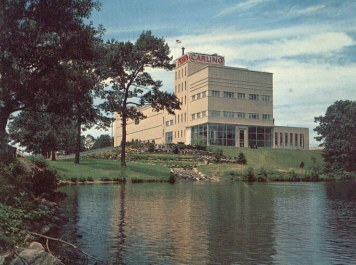 This was Carling first U.S. brewery and also their flagship brewery during their heyday. Many knew it as the former Peerless Motor Car factory that was converted to a brewery after prohibition and the depression. In 1934, Cleveland was Carling's only U.S. brewery with a total brewing capacity of 240,000 barrels. After several expansions to the brewery, total brewing capacity increased to over 2.2 Million barrels. 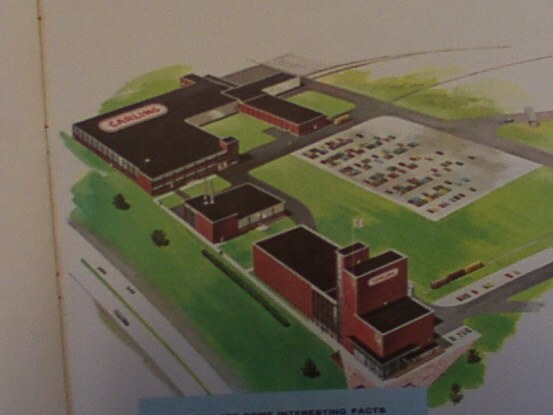 The plant ran at full capacity throughout Carling's peak years in the '50's and its the '60's. 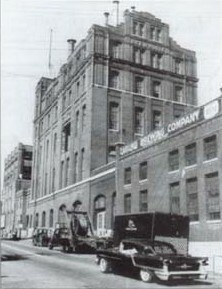 The Cleveland brewery was sold to C. Schmidt & Sons Brewing of Philadelphia in 1971. C. Schmidt declared bankruptcy in 1986. This beautiful facility was torn down in the late '90's. In 1954, Carling bought the assets of Griesedieck Western Brewing Co. with plants in Belleville & the Hyde Park brewery in St. Louis, Mo. This is when Stag Beer was added to the Carling product line. 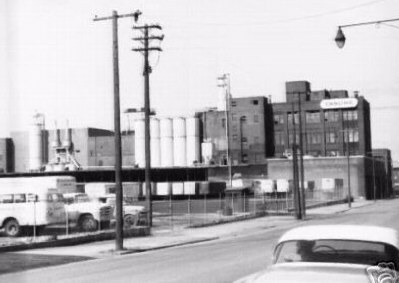 The antiquated and inefficient St. Louis brewery was closed while Belleville was expanded to a capacity of 1.2 million barrels per year. After a fire inside the brewery, this plant was shut down in 1957 after only a brief period as a Carling brewery. 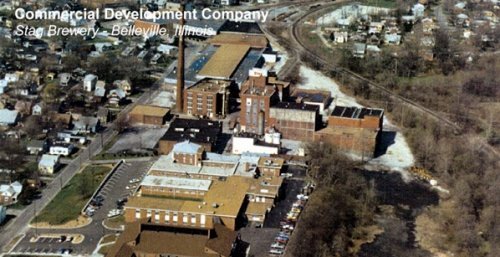 The Belleville brewery closes for good in 1988 and finally torn down in 1996. It was the last large brewery in Illinois. 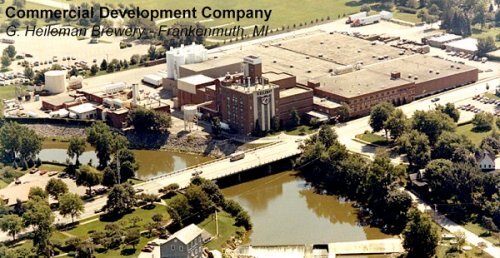 The Frankenmuth facility closes on July 11 1990 and the wrecking ball takes it down in 2000. Atlanta closes in 1971, and is sold to Coca-Cola. 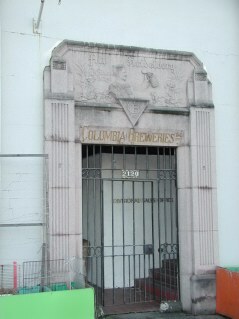 The company next looked to the West Coast where on January 1,1959, it acquired the assets of the Columbia Brewing Company of Tacoma, Washington. 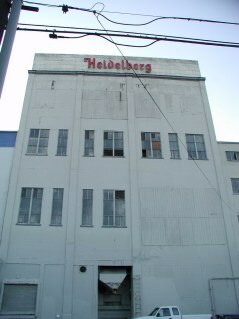 With a capacity of 650,000 barrels, this plant added two brands, Heidelberg Beer and Columbia Beer to the Carling family. This brewery was shut down after G Heileman purchased Carling-National Breweries in 1979. The above photos were taken by Dan Haarstad in January of 2005 and sent to me for this web site. Many thanks Dan! 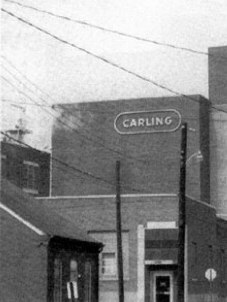 The seventh regional brewery for Carling was opened in Baltimore in 1961 and had a capacity of 1,000,000 barrels. 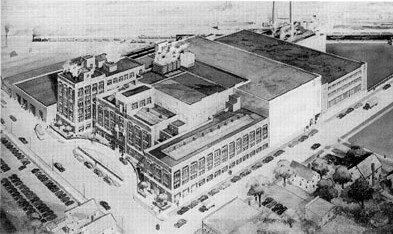 Like the other new plants built by Carling, the Baltimore operation included the most modern facilities and is located on a large, handsomely landscaped, park-like site. 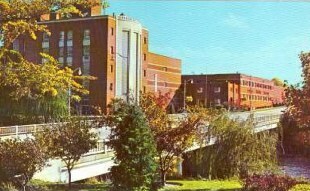 After the merger of Carling & the National Brewing Company in 1976, this brewery became the flagship brewery as well as the home office when the Waltham,Mass headquarters was shut down. Through takeovers this became, in order, a Heileman, Stroh, then Pabst Brewery. Pabst shuttered the brewery shortly after puchasing Stroh. 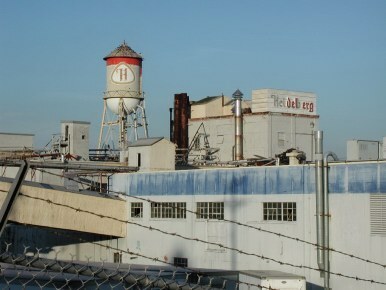 Washington Flour took over the property and the brewhouse was demolished in 2005. 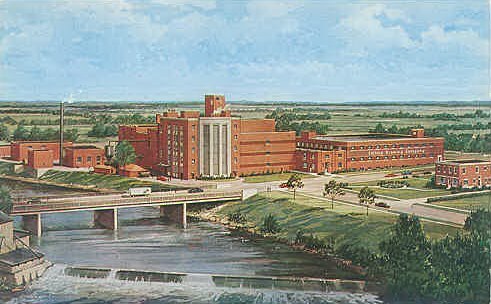 Of all the Carling Breweries built or purchased over the years, The Ft. Worth facility had the shortest life,most problems, and most interesting history as a Carling brewery, yet is still in operation today as one of the largest Miller Brewing Company. 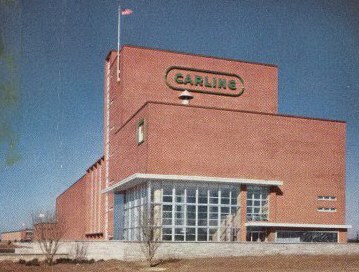 This plant was completed in 1964 and was Carling's eighth brewery to it's network. At the time, it was the word's most technologically advanced brewery. One of the plant's most dramatic features is a system by which beer is brewed and fermented continuously. Using the exact same formulas of ingredients, and following the brewing procedures in the identical sequence, the Carling Texas beers were brewed by a "continuous flow method". This unique system, developed completely by Carling engineers and technicians, permits a constant flow of ingredients, precise control of quantities,pressures, and temperatures, throughout all the traditional brewing operations....mashing,hopping,boiling, and filtering the wort, and fermenting. Then, when the brewing process is completed, Carling brews were aged for the same,traditionally correct length of time to bring them to perfect maturity and clarity. Just one problem, the new brewing method didn't work due to one faulty pipe. The method was abandoned, and the brewery was sold to Miller in 1967, which removed the experimental equipment before reopening the brewery. 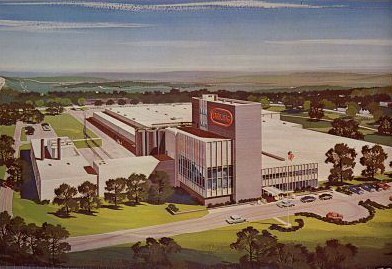 Carling's ninth plant was acquired in November of 1964, close on the heels of the start of production at Fort Worth, with the purchase of the Arizona Brewing Company in Phoenix. This acquisition added a sixth brand, Lanser's A-1 Beer, to Carling's product line. Phoenix had a capacity at the time of 350,000 barrels. This plant was later sold to the National Brewing Company which neede a wast coast brewery for Colt 45 expansion in 1966, but returned in 1975 when Carling & National merged. 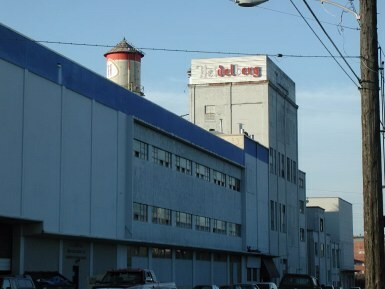 In 1986, this brewery was sold and torn down. 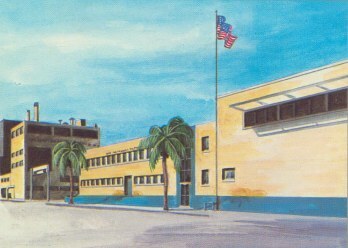 It is now the site of a Phoenix fire battalion. During the Stroh years, Carling Black Label was brewed at Lehigh Valley PA.
Today, Black Label is brewed at Trenton, Ohio, & Eden, N.C., Both of which are SABMiller breweries that brew beer under contract to Pabst. Some other former Carling brands are brewed today at the City Brewery which is the former Heileman brewery in LaCrosse, WI, and at The Lion Brewery in Wilkes-Barre PA.